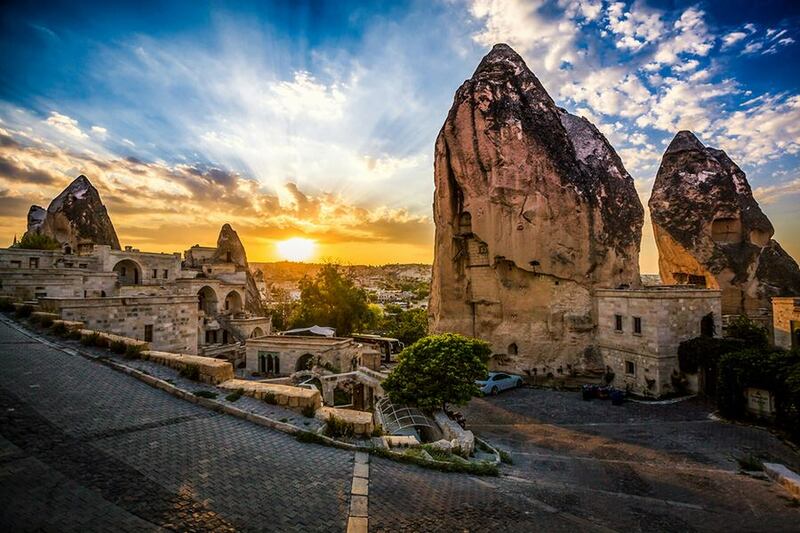 Discover the spectacular rock formations, magical fairy chimnies and cave churches of Turkey’s Cappadocia region on this full-day sightseeing trip. Drive through Devrent valley watch volcanic pillars and pinnacles, cave churches of UNESCO-listed Goreme Open-Air Museum; and explore the hand-carved tunnels of the ancient underground city. Visit Uchisar rock castle. Entertain in pottery demonstration with the Hittite technique in Avanos. Explore and Enjoy Early morning 05.00 am pick you up from your hotel for 06.30 am flight to Kayseri airport. After landing at 07.40am, air conditioned coaches will take you from airport and bring to Cappadocia tour staring point. 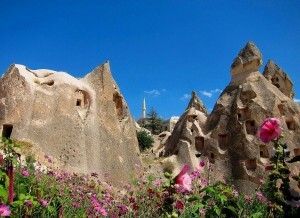 At 09.00 am our Cappadocia Tour starts. First visit the Devrent Valley, also known as Imagination Valley to see the lunar landscape. Drive through this surreal place, watching volcanic cones and pillars. Listen to your guide recounts how the sculptures have been formed by erosion. Afterward, drive through Pasabag, also known as Monks Valley. Discover how the area was named after the monks lived here in the 4th century AD and gaze at the mushroom-shaped pinnacles. Then visit a restaurant for a delicious, local, otantic Anatolian lunch. Next stop is the pottery-making town of Avanos join a pottery workshop to try your hand at pottery. Watch a pottery demonstration, and try to make one with your own creativity. Next, the big rock on top of the hill in Uchisar , also known as Landlord’s Castle.The view from the top of this massive rock is amazing. Next, watch the panoramic view of Goreme Valley from Esentepe. Your final stop is Goreme Open-Air Museum, a UNESCO-listed place with cave churches, stunning frescos and monastery. Walk around these magical rocks. Learn how they were carved between the 10 and 12th centuries AD. Head back to your air-conditioned coach and drive back to the airport for flight to Istanbul. Return details At 05.00pm our tour finishes and we transfer you to airport for flight to Istanbul.